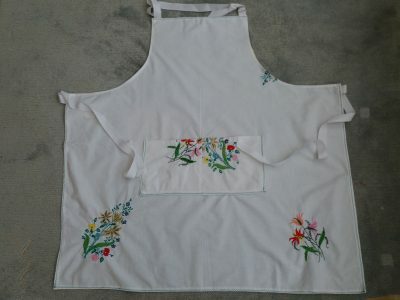 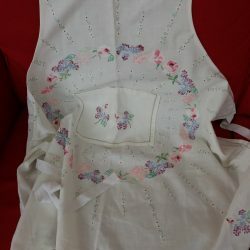 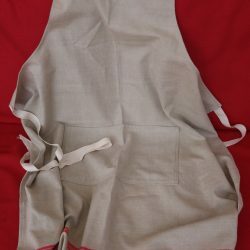 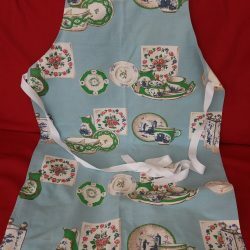 Apron in linen made from Tablecloth. 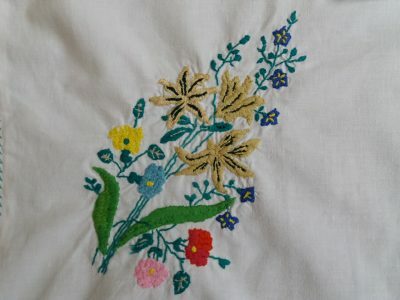 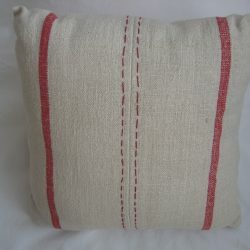 Heavily embroidered at corners and on split pocket (made from cut-out corners). Green edging.